Washing dishes can either be one of the easiest household chores or a total nightmare. It really all depends on your dishwasher. Years ago, I was the dishwasher! When we moved into this house, I was thrilled that it came with a working unit! No more standing over the sink for an hour scrubbing! Alas, the house also came with cruddy water. Not unsafe, just not good. It’s hard, sulfur well water. We can’t drink it and it tends to make our dishes look less-than-sparkling unless we use really good dishwasher detergent. Finish® is always one of our go-to brands for dishwasher detergent because it cuts through tough grime even with my hard water. Plus it’s a great value. With Jake home all day during the summer, our dishes have like quintupled! I’m going through loads faster than usual, and I’d rather not spend out entire entertainment budget on washing dishes! Okay, I know I’m easily amused, but just look at that Powerball® in the middle there! Isn’t it neat? You can tell that Finish® Max in 1 Powerball® is going to do something special once you close the door. 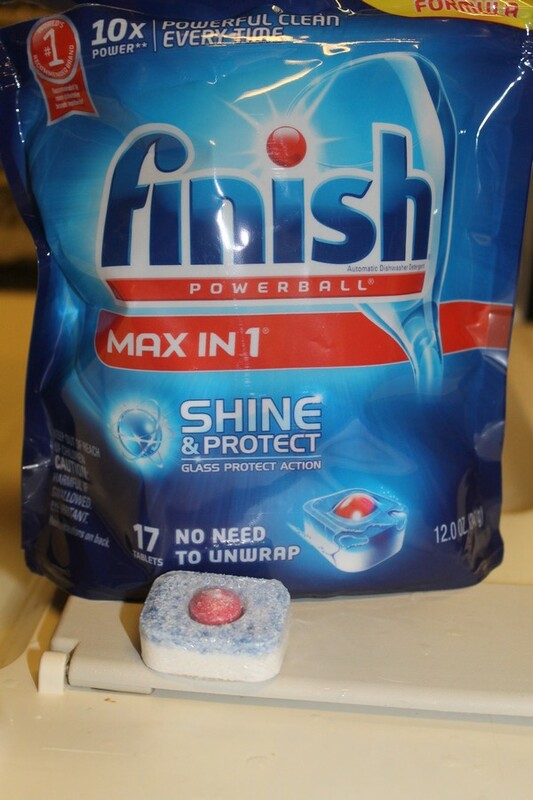 Finish® Max in 1® Powerball® doesn’t just get your dishes clean, it shines and protects! Once you close those doors and turn on your dishwasher, Finish® Powerball® goes to work. It’s in there cutting through grease stains and attacking burnt-on food. It’s removing all those coffee stains from my mugs (trust me, that’s a major task alone!). It’s tackling dried-on leftovers from the dishes that I didn’t pre-rinse. Basically, it’s making sure that I never have to rewash my dishes again, thank goodness. Who has time for that? I didn’t even have time to pre-rinse half of them, so I definitely don’t have time to rewash them! You’re already saving time by using Finish®, so how about saving money too? I bought my Finish® Powerball® at Walmart. It’s convenient because I was already there doing grocery shopping. Plus it saves me money. They have a huge selection of all your favorite Finish® products, including Finish® JetDry® for those times when you want a little extra boost to your shine. Let’s do some math. 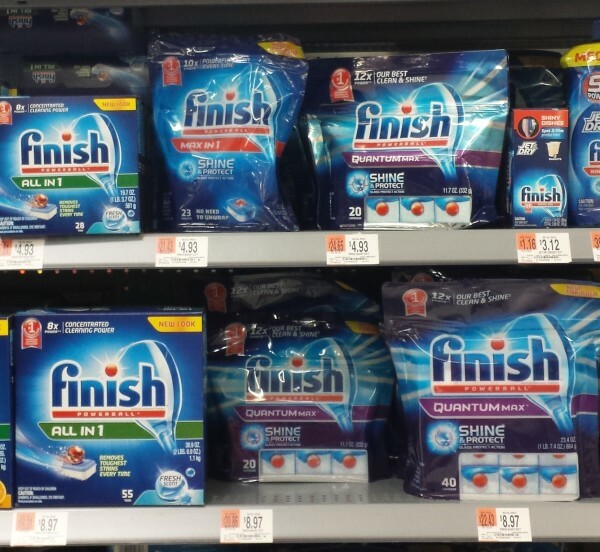 If I had bought the 23-count, I would have spent $4.93 on my purchase of Finish® Powerball® at Walmart. If I saved $1, that would be $3.93. If there are 23 tablets per box, that is $0.18 per dishwasher load (rounded up to the nearest cent). I don’t think I could convince anyone else to wash a load of my dishes for $0.18, do you? My Walmart happened to be out of the 23-count the day I was there so I grabbed the 17-count, but I’m definitely going back for the 23 and taking advantage of this offer! So you get sparkling clean dishes plus great savings! Works for me! How about you? Do you have any tips on saving time or money while getting your dishes clean? Share in the comments! We use these clean dish tabs all the time and they work like a charm. It is so incredibly great to find something that helps make a busy mom’s life even easier. I will be sure to check these out. I love me some clean dishes. I’m going to have to try those out. I really like that they’re so easy to pop into the dishwasher and start the cycle. 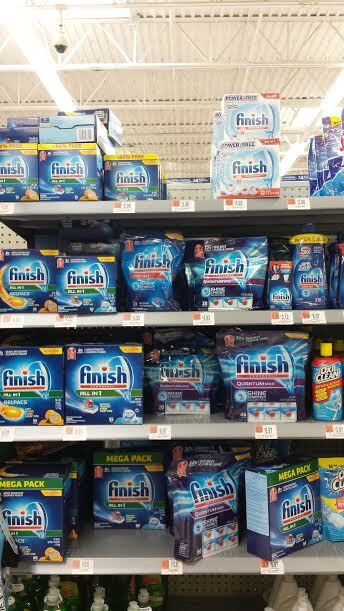 We use Finish all the time. It helps make our dishes super super clean. I’ve been trying to convince everyone that I need a dishwasher! I am just so sick of scrubbing dishes and pans, would love to be able to try this. I’ve been seeing this around and I really need to try this. 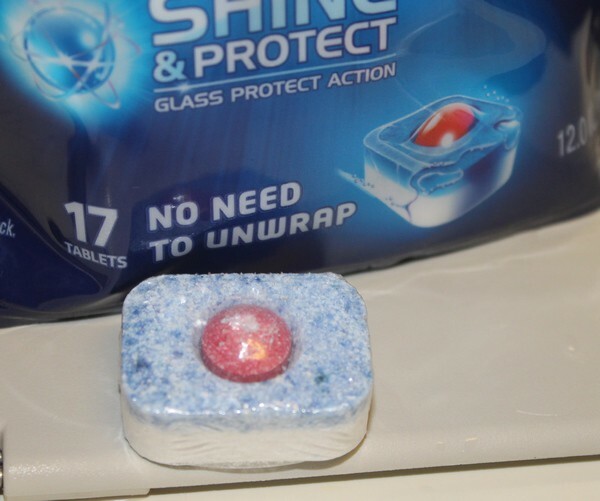 I love that you would just drop it in the washer and let it do the work. This is honestly my go to brand for dishwasher tablets!! I get so mad if hubby happens to do some shopping and grabs a different brand! I’ve tried Finish before for my dishwasher – they seem to really clean my dishes, especially the all-in-one. Other dish cleaners don’t work as well. I’ve been using these the past couple of months and my life has changed ever since! Obsessed with how well these clean. I love to stock up on dish detergents. I wait for a sale and buy about a year’s worth! We actually just started using Finish and love the results! To save money, we buy a big bin from Costco. These are great! We’ve used them before and they work wonders!